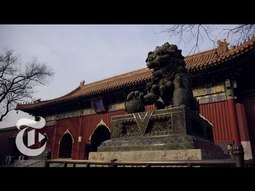 China | Blackworld.com - Connecting the world with Africa. There's a magic formula to becoming a millionaire in China - borrow big to earn big. For years, individuals, state-owned companies and municipalities have taken massive loans to chase the Chinese dream. Now it's payback time, but a severe economic slowdown means many are struggling to pay their debts. 101 East asks, is this the end of China Inc? Africa to benefit from increasing Chinese investments in Africa? coast and forcing African governments to accept trade. lending agencies, including the newly established BRICS Bank. local companies. Chinese companies, however, do not always get it right. direct investments make a loss; compared with a 50% international norm. Chinese companies have only begun to venture overseas. leaders as bulwark against the West. trade. But China’s arrival will bring challenges. The jury may be out permanently on the old question of if money can buy happiness, but that hasn’t stopped wealthy Chinese families from trying. There is a growing trend among China’s richest to use their wealth to move themselves and their families abroad. This is done primarily in the form of investment visas. On the flip side, a number of countries are opening the doors to the estimated 1 million Chinese millionaires … provided they bring their money with them. It’s something of a bidding war in reverse, for which Australia wins the prize. All it takes is AU$5 million (US$4.65 million) of investment to apply for permanent residency. £1 million ($1.66 million) of investment in the U.K. will buy up to five years of residency. The purchase of €500,000 ($662,000) of Spanish property grants foreigners residency for as long as the property is retained. None of these visas are restricted to Chinese nationals. However, China’s the place to find nouveau riche these days, and since being introduced, the programs have all been dominated by potential investors from the Middle Kingdom who want out. Chinese citizens made up eight of 10 investor visas issued by the U.S. State Department last year. George Osborne, the British chancellor of the exchequer, declared that the U.K. would focus on making it easier for Chinese investors to enter the country. 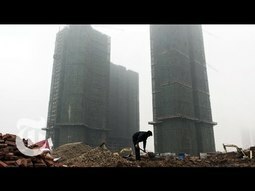 In this short documentary, housing developers in China hire ordinary foreigners to pose as celebrities, boosting flagging property sales. Now, China's prime minister is looking at ways to stabilise the property market, after a major slump in prices. Al Jazeera's Harry Fawcett reports from the northeastern port city of Ying-ko. Compared with China’s other megacities, Beijing is still a traditionalist at heart, so delve into the shops, galleries and restaurants in the city’s old, alleyway-threaded hutong neighborhoods. After years of increases, home prices in China have begun to drop. It’s good news for buyers, bad news for residents of the Xixi Moho apartment complex whose building was abandoned by developers.